The Uniball Signo DX is often replicated but never quite repeated. 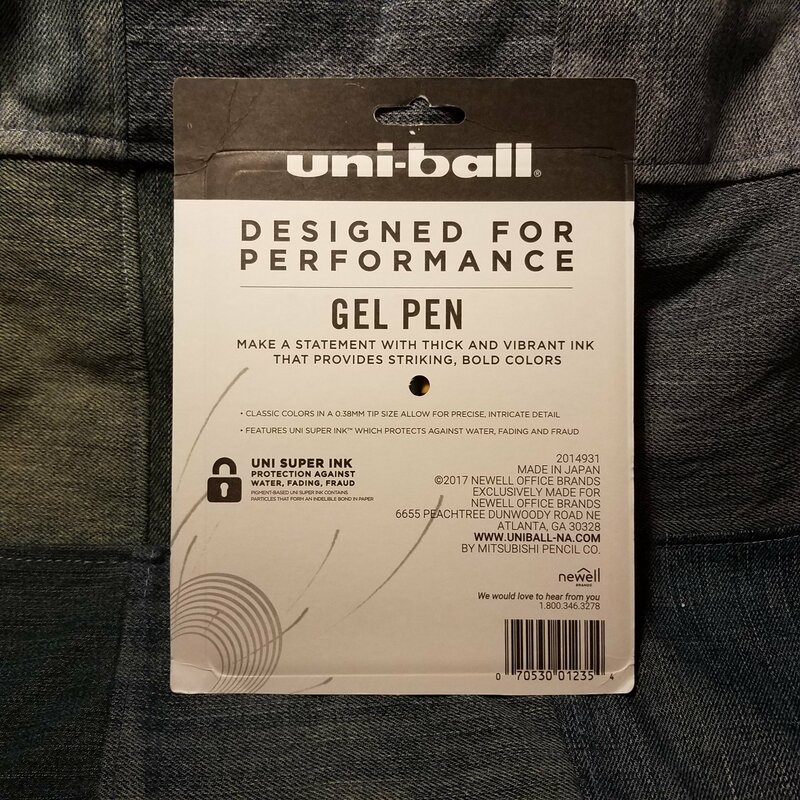 In the past you could only find the DX on import sites like JetPens (You can still get them and refills there) last year (2017) Uniball started to bring the DX to the US! You can’t get singles but you can an eight color multipack at most major office supply chains, like Staples. I picked up my 8-pack at my local Staples for around $12. Not a great deal. The only package you can find in the US is the 8 color pack. My local Staples hides these on the bottom shelf in the Uni section of pegs. I’m not gonna lie, the DX is a favorite pen of mine. First it is is a classic design often imitated (remember that Pen+Gear monstrosity I posted about?) Infact Staples has its own version of this venerable pen. The tip provides smooth writing and sketching experience. The ink flows well but not overly wet. It’s close to perfect. The ink is also lightfast. I’ve tested many of the colors and not even a shift in direct August light. The ink is also waterproof/water resistant. Which means it is great for sketching and overlapping watercolor washes. Urban sketchers, here’s a great pen for you. 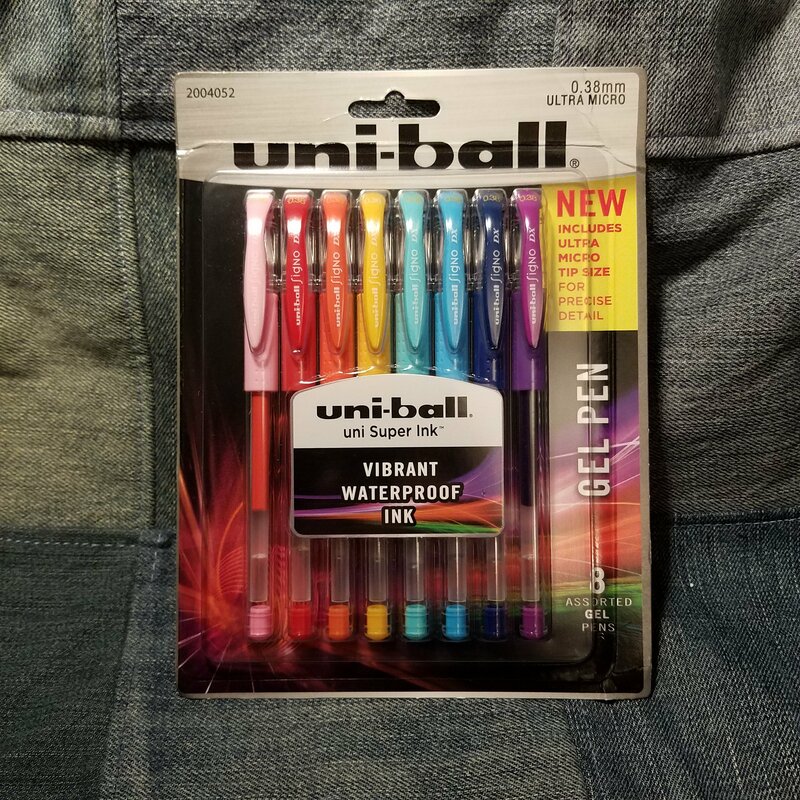 True to Uniball USA’s typical antics, the refills in these pens is labeled UMR-1 instead of UM-151. 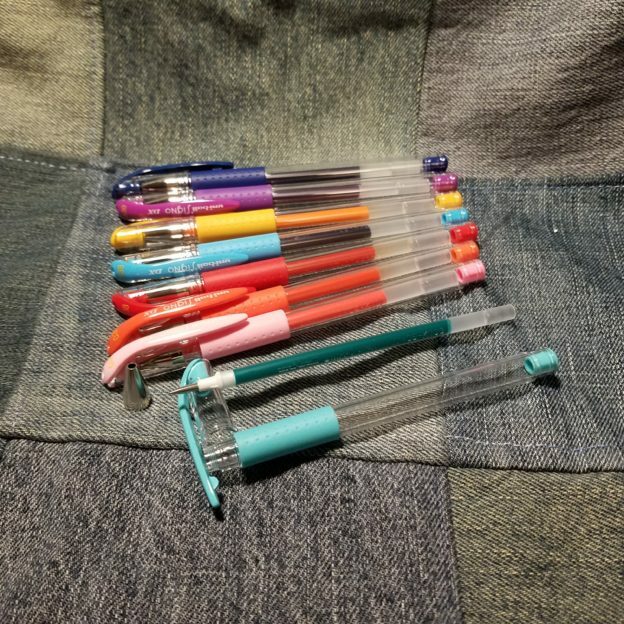 The colors are identical to my imported pens. Refills are available on JetPens from $1.35 up to $2.50. 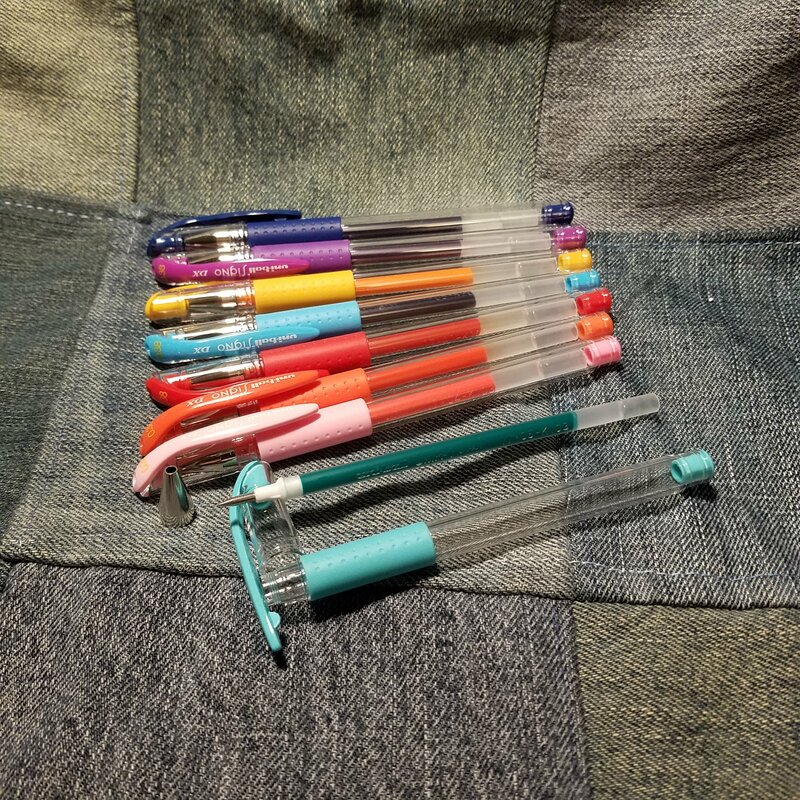 These are great pens, and the basic 8-color set is great for sketching, adding a black to the mix would be quite helpful. But I find the lighter brighter colors to be great for under sketches. Anyway, I’ve missed the US launch of these by a year, but they are still a fabulous pen to add into your sketching and bullet journal tool kit. This entry was posted in Review on 20181101 by leslie.